Daisy Eau So Fresh by Marc Jacobs is a Floral Fruity fragrance for women. This is a new fragrance, Marc Jacobs Daisy Eau So Fresh was launched in 2011. Top notes are grapefruit, green notes, raspberry and pear. Middle notes are jasmine, rose, violet, litchi and apple blossom. Base notes are musk, virginia cedar and plum. 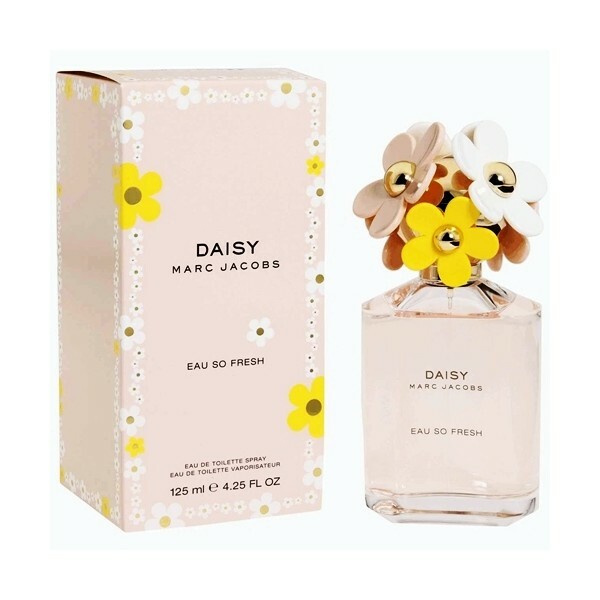 Beli parfum original Marc Jacobs Daisy Eau So Fresh for Women sekarang, harga termurah di Indonesia! !